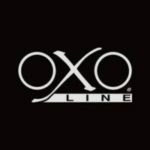 The architecture of the OXOline racks allows each barrel to remain independent. OXOline supports the weight of the barrels in the entire stack, so that there is no weight resting on any barrel. This feature helps preserve the structural integrity of each barrel and helps them remain free of leaks related to weight deformation. This attribute also makes it possible to empty any barrel for repair, or to move and re-order barrels by lot… whatever their location without having to touch any of the surrounding barrels in the stack. Each barrel can be moved at any time, thus improving flexibility and safety. These handling operations can be performed manually or by using specific tools developed by our research department: the Minilft, Superlift, OXOlift, and Autolift. The design of OXOline 2 compact barrels racks has been recently optimized, allowing storage of 200 L barrels up to 10 levels with a height of only 6.12 meters (20 feet). This improvement results in a significant increase of volume stored per m2 :1600 L / m2 (39.3 gals/sq ft). The architecture of this rack still allows access to each barrel at any time, and movement of a full barrel independent of the others with a forklift. Coupled with a 1.5 ton forklift or greater, this attachment allows the installation and removal of empty or full barrels of 200 L to 500 L on OXOline2 structures. 100% hydraulic, the basket articulates 180° and extends laterally into the stack making for a strong and easy to use device. It can be equipped with an optional camera and color display, as well as laser alignment system, further enhancing its ease of use.